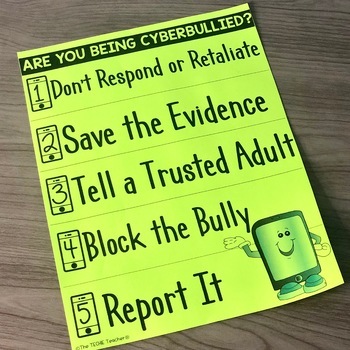 Hang this poster up in your classroom or in the hallway to help remind students the actions they can take if they find themselves being cyberbullied. Cyberbullying is a serious digital safety issue that needs to constantly be addressed so children know how to respond appropriately. Print on Astrobright paper to give the poster a pop of color! 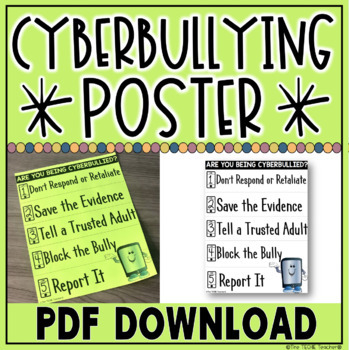 Discuss these steps with your students and hang the poster up to promote responsible digital citizenship and online safety. This download comes as a secured PDF document. Just print and hang!